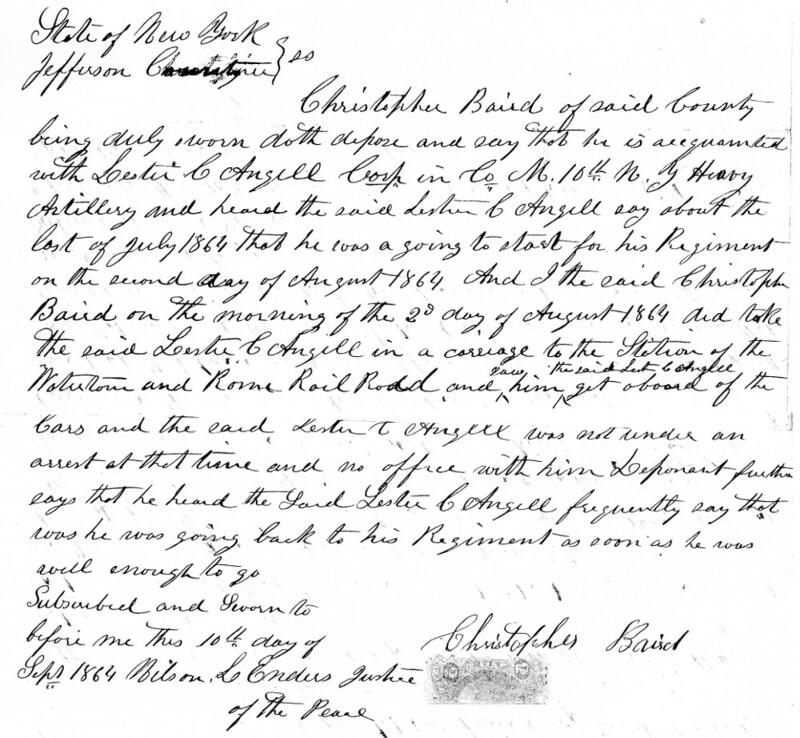 Christopher Baird was born late in the summer of 1847, the last child and only son of Robert Baird and Eunice Jane McDuffee. He died tragically at the young age of 17, less than five months after enlisting in the Union Army. While no official documentation of the cause or circumstances of his death has been found, Baird family history accounts (notes of Robert Angell) tell us that he was involved in a fight with a fellow recruit (presumably at the Sackets Harbor training facility) and died as a result of the injuries sustained in that incident. 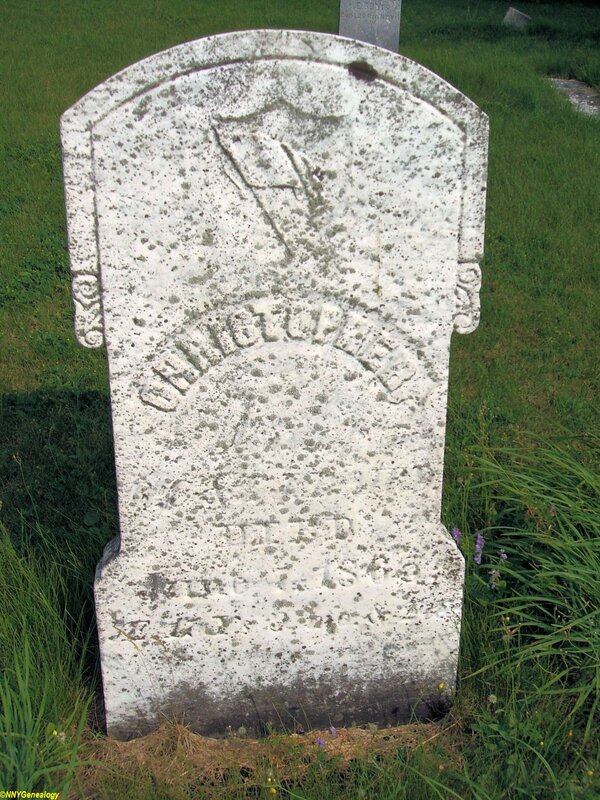 He is buried at the small Fox Creek Cemetery in the Town of Lyme. 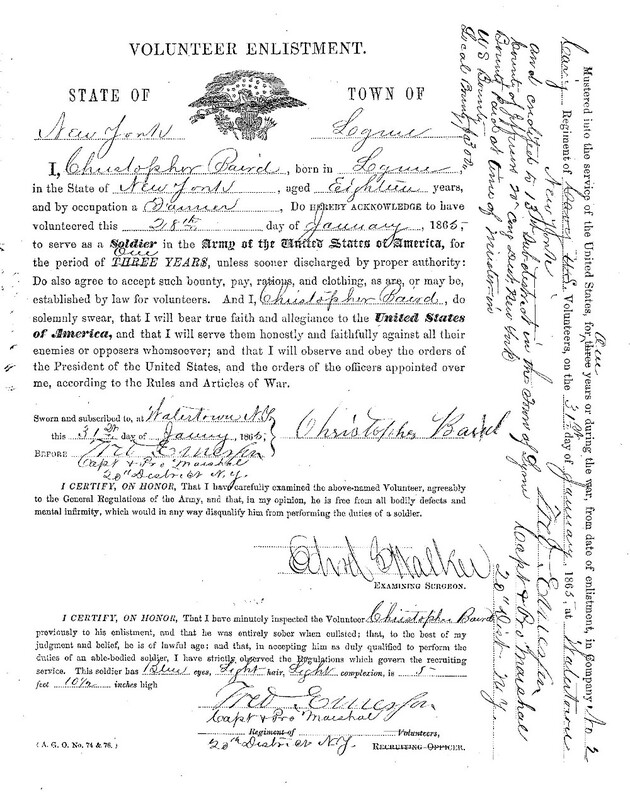 From the National Archives, Christopher Baird's January 1865 enlistment for one year of service in the Union Army. He is to be paid a bounty of $300 (around $4500 in 2014 dollars).